Employee Spotlight: Paula Taylor & Aaron Atkins - ARC Abrasives, Inc.
Paula’s favorite part of working for ARC is the people. She appreciates the family feel and getting the job done right, together. 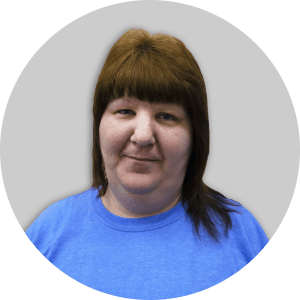 Please stop by the Cartridge Roll and Pad department and say hi to Paula and thank her for her years of support to ARC Abrasives! Meet Aaron Atkins. 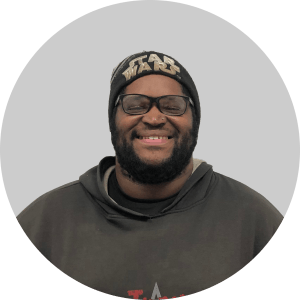 In his 2 year journey at ARC, Aaron has proficiently operated the laser cutting Allied and PSA parts. He confirms the parts have been cut precisely, verifies part quantities are correct, and stacks them in their appropriate locations. Aaron likes being able to work at a his own pace to maintain his production of high quality products. He also favors the small, close company setting. Please stop by the PSA department and say hi to Aaron and thank him for his years of support to ARC Abrasives!